Greetings from the somewhat snowy northeast, also known as Connecticut. 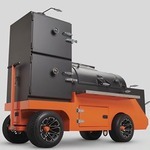 As I type this I am waiting for delivery of my new Yoder YS640 sometime in early January. Looking forward to picking up some knowledge from the forum and embarking on the road to pellet perfection. I've been using a Cookshack electric smoker for a few years with good results but was looking for a way to get a little more "authentic" feel out of smoking foods. After lots of research it seemed like the Yoder pellet products would be a great combination of the ease of use of the Cookshack combined with the more authentic BBQ style of a stick burner. 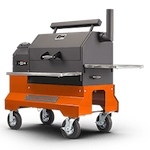 Here's looking forward to a new smoking adventure with my Yoder as soon as it arrives!